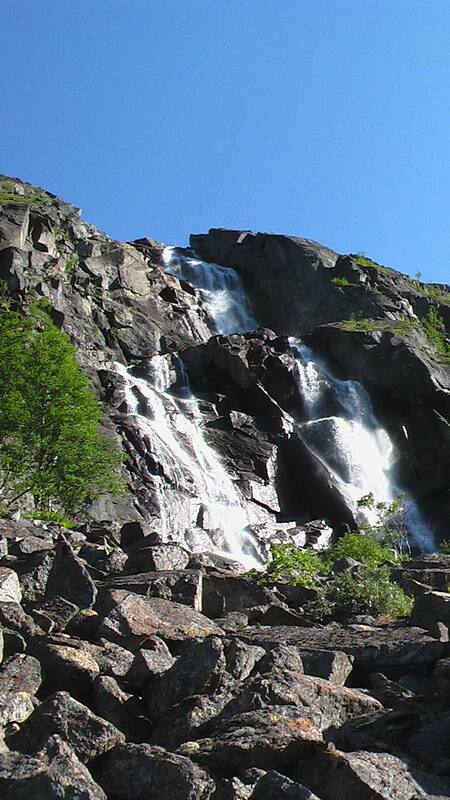 Follow the Navvies Trail from the highlands on the Swedish border down through a gorge to the deep Rombaksfjord, inland from Narvik in Norways Arctic north. Magnificent mountain scenery, tough artic plants and trees; possible sightings of elk and other arctic fauna. A fairly easy walk along the track built for construction of the Ofotbanen railway, which had its Warhol moment when it became the focus of a WW2 campaign. There was no winter exit from the great iron-ore mines of northern Sweden, which are well inside the Arctic circle, until the Ofotbanen railway to the ice-free port of Narvik in Norway was built at the end of the 19th Century. 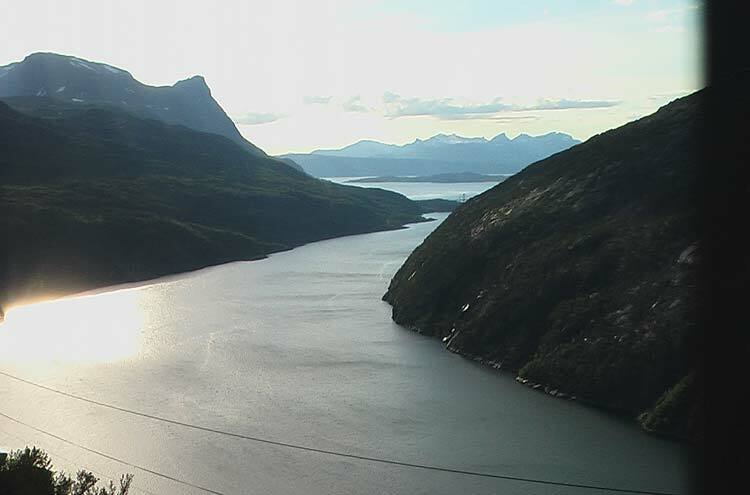 The line crosses the mountain backbone of central Scandinavia before plunging spectacularly into the Rombaksfjord and the sea. 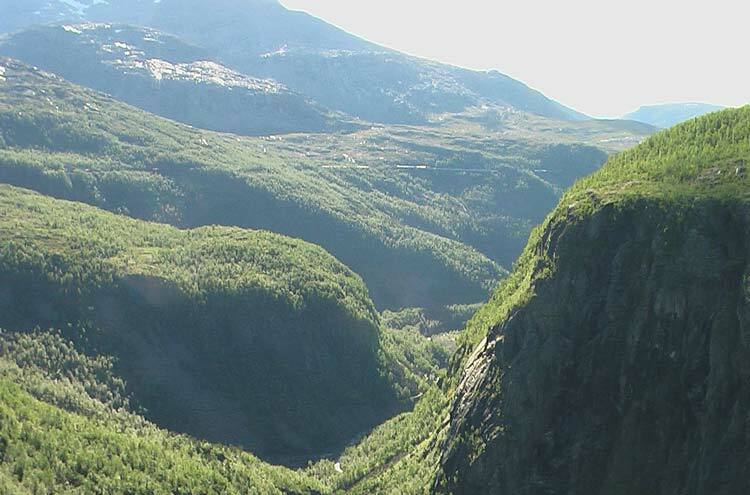 This remote area remained in tough obscurity until the dynamics of the Second World War threw it briefly into the spotlight: the iron ore shipments made Narvik strategic, and the German occupation of Norway in April 1940 resulted in an Allied expedition (the military side of which was commanded by one Major General PJ Mackesy) to recapture it and thence, in Churchills fantasies, to cross the trail-less Arctic wastes to aid Finland in its struggle with Soviet invaders. This had to be withdrawn in May as the disaster in northern France unfolded. Constructing the railway was a major undertaking, and the track used to transport equipment and materials parallels the line. It is as a result a wonderfully even, gradual descent. This now forms a track from Abisko in Sweden to the head of Rombaksfjord, although most walkers focus on the section that drops from the Norway/Sweden border to Rombaksbotn at the head of Rombaksfjord. 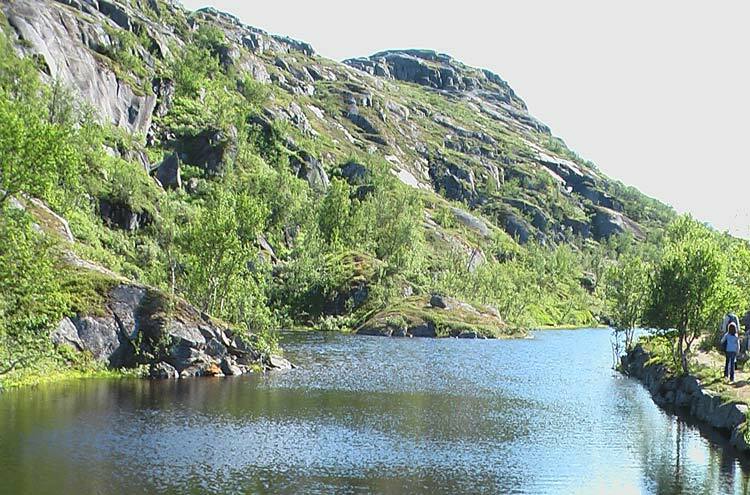 The border is at Riksgvnsen on the high, glacier-scoured granite central Scandinavian plateau. The village is on a lovely little lake, the surrounding rocky platform sprouting patches of tundra and stunted birch. A hotel and a smattering of holiday cabins ensure that there is no wilderness feel up here, and it is a bit scruffy for the first half hour. Low mountains loom in the background. When we were there, it was a warm, cloudless day and the vivid colours sparkled, but it could be very harsh indeed up here. The trail winds among slabs of rock and bog pools, crossing the line at Bjrnfjell. 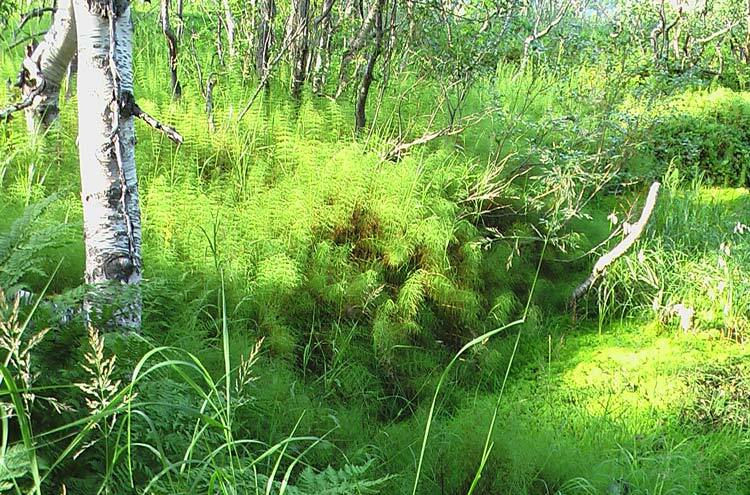 Immaculate little vistas open up at each turn: a rough skyline reflected between birch trunks and miniature reeds, or an ox-blood hut perched on a rock above a little stream which gurgles through a bog of bright golden moss. The railway is always looping its way nearby. The valley deepens and the views become grander, the mountains behind seeming higher as the path drops; large snowfields sheltering behind their broken skylines. 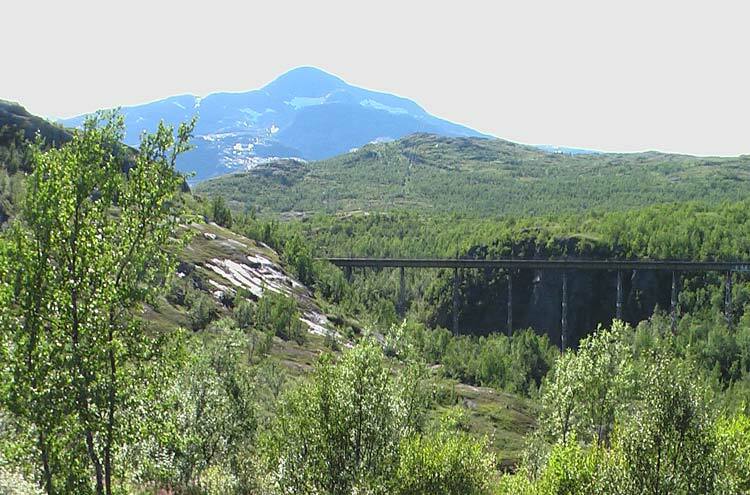 The line used to cross the gorge on a high, delicate trestle bridge that the Norwegian resistance tried to blow up to deny the line to the Germans. 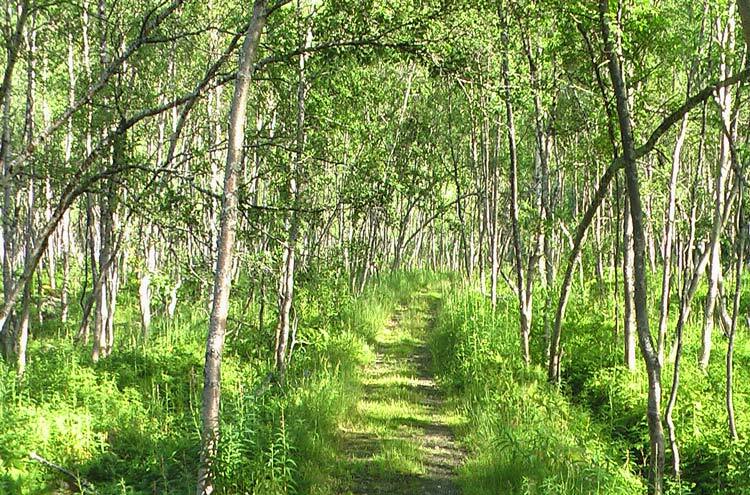 You enter the treeline gradually, the forest becoming higher and thicker off the plateau. Ferns appear, shrubby bushes find a foothold. The gorge becomes a sheer-sided canyon far below as you thread through boulder-scree beneath a magnificent waterfall. At an old maintenance depot, you drop below the line, through lovely birch woods, the low arctic sun making the white birch trunks and yellow moss glow. 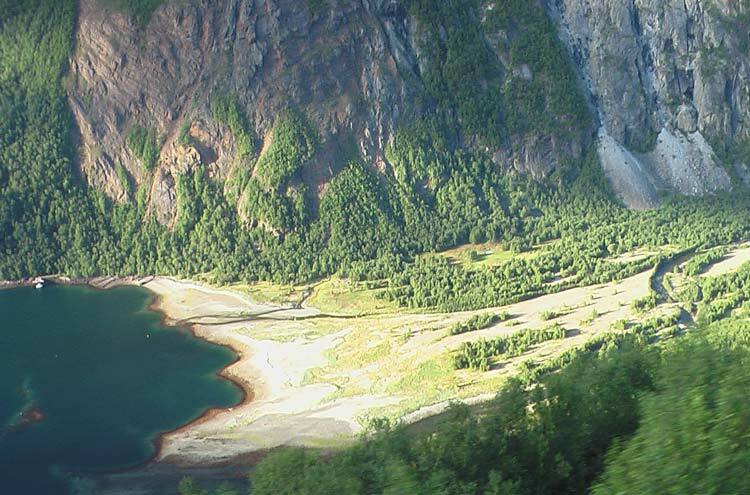 You can either cross the stream below and wind back up the other side, through beautiful forest, to pick up the train - or drop to the head of Rombaksfjord to pick up a boat (make sure you have this carefully arranged).